I am feeling the results of pushing my body to its limits for decades. There has been running. Lots of it. So, so much running. So much pavement running. A few face and back plants in there that didn't help matters. Then there were the trail crew/wilderness ranger years, where often it made more sense to bend over with a huge backpack (70 lbs plus) to shovel out waterbars, because the darn things were one every few feet and taking off the pack each time was just dumb. Also, firefighting, chasing a bunch of long-legged guys up and down hills, wearing those non-ergonomic logger boots with a heel. And possessing hips that are pretty tight, no matter how much stretching I do. All of these things combined have caused some issues, including twinges in the IT band, strange knee pains, and clunkiness in one of my knees. On really high steps, it's hard to step down sometimes. Running has become fraught with fear--what will hurt this time? Yet, I don't want to give up running. Nothing else feels the way it does. Because surgery shouldn't be the first answer, I am trying some new things. Hip strengthening, where I lurch around the house attached to bands. Hip stretches. Hemp oil. 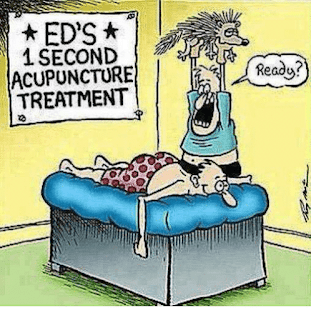 And, today, acupuncture! 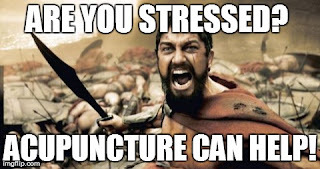 First of all, the needles are super tiny! I could barely feel them. My acupuncturist (is that a word?) explained that you place them according to where the problem is, but it might not actually be in that problem area. That you are looking at energy paths through the body. 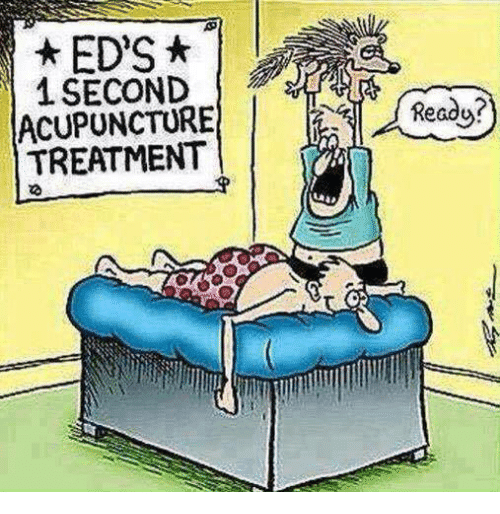 Therefore, even though the knee I am having the most problem with is the right one, most of my needles were in my left leg, the one I try to protect. She then left and I was forced to lie and "relax". I am not very good at this. I thought, I should be doing something. 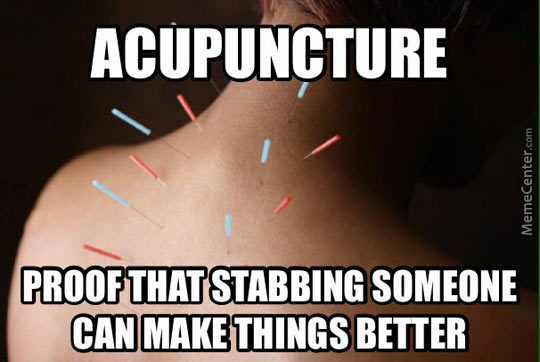 But the point is to let the needles work. There's a school of thought that people, especially women, carry past trauma in their pelvic/hip region. Makes sense, right? I am here to tell you: the thoughts and images that came up during my enforced relaxation seemed to bear that out. I could feel a lot of past pain floating away. I know, this sounds kind of uncomfortably weird. I don't usually talk about things like this. But along with physical pain, I've also pushed myself to the limits emotionally, as most of us have. Most of us would rather shelve this stuff and forget about it, because you have to. Nobody enjoys being around a hot mess, much less being one. The trouble is, this has to go somewhere. As for if it will help my structural issues, I have hope. I refuse to give up; my outdoor years are not over! I have had to reduce my running mileage quite a bit, but what matters most to me is not how many miles I run, but that I can continue to do it. Bring on the needles. I'm not a very traditional person. Sometimes it seems like people blindly follow a tradition (turkey and a big meal at 2 in the afternoon; chocolate for Valentines, I could go on) because they feel like they are supposed to. People! You don't have to prepare a big meal because hundreds of years ago some Pilgrims did! After checking the price of flights back to the parents' ($1500, who can even do that?) and considering some Friendsgiving offers, it sounded better to do what I like to do best: disappear into somewhere remote. The Owhyee canyonlands are as close to the outback as Oregon and Idaho get. You have to drive on some bad roads to get there, roads where you can become trapped after rain. There's definitely no cell service and little water. In other words, sort of paradise. Armed with maps and a sense of adventure, we headed for the Owyhee, leaving the pavement near the Idaho-Oregon border. Its unusual name comes from an exploratory party in the winter of 1819. Three Hawaiian members of the group were sent to scout the area. They never returned. We drove through thick fog to Succor Creek Natural Area and climbed to a high point. Thick mud clung to our boots, courtesy of previous rain, and we had to admit defeat and move on to a dispersed camping area by the river. Tamed by the dam above us, the river moved sluggishly past. It smelled like fish. This was interesting, but it was time to get to more remote sections of this place. That is, after we walked up the road for a couple miles with jumper cables, finally finding some people to charge up our battery. The road to Leslie Gulch is better traveled, through some remote ranchland. We wound through stunning formations to the Slocum Creek campground, near the Owyhee Reservoir. Strangely enough, it was free, and while it would bake in the summertime, it was perfect right now, in late November. Shorts in November! I couldn't believe my luck. There were rumors of a hot springs you could hike to from here, but we hiked above the campground instead. A well-defined path petered out, as people evidently gave up on the cross country trek. Juniper Gulch is probably the most popular hike in the Leslie Gulch area. You can follow a sort-of trail for about two and a half miles before you have to start scrambling. We didn't see anyone on the trail, and it was a wild and scenic place. The afternoon light on the formations was unbelievable. That night the sky unleashed a torrent of rain. Fortunately we had put the rain fly on the tent so were spared the midnight shuffle. The rain meant plans had to change. In this country, roads become completely impassible and you have to wait the conditions out in order to leave. Reluctantly leaving Leslie Gulch, we had to decide which way to drive home. There were two possibilities: the Owyhee Scenic Byway, one hundred miles of dubious road through the true wilderness of the Owyhee, or a rough 4WD through the ghost towns of a former mining era. We stopped by a gas station in Jordan Valley to ask about road conditions after the downpour. "Got chains?" the attendant asked. "Well," he said, "You'd better go through Silver City. There might be some people there to help you out." With that ringing endorsement, we headed out on a slick, muddy road (driving from highway 78 near Murphy is much better, for future reference). Four wheel drive was mandatory. For a moment it seemed like we would have to turn around, but then conditions and road surface improved. Quickly we ascended, bringing us through ghost towns and forgotten homesteads. Near the ghost town of Ruby City, we found an old cemetery. I love walking through old cemeteries. I wonder about those people, if anyone remembered them, what they were like. There were also a fair number of Unknown gravesites. Were these people miners who had left home decades before, never to be heard from again? After three hours and twenty miles, we rolled into Silver City. It is officially listed as a ghost town, but a few people still live there. The Watchman, who keeps an eye over the place, said he lived there year round. He owns a snowmobile to get in and out. It would be a long, cold ride down to the interstate most winters. In the summer, a ramshackle hotel and bar are open. In winter, nothing is. I was captivated by Silver City. It is my kind of place. Remote, hard to get to, high elevation. I could get a lot of writing done here. I was ready to pull up stakes and move here. Of course, reason prevailed, and I had to let go of that dream. At least, for now. We left feeling like we'd barely scratched the surface of this incredible place. It's good to know that places like this still exist, though less than one percent of the Owyhee is currently protected from development. If you go there, you need to go with few expectations. The place dictates where you will go. And that's a good thing. This summer, a fire swept across the Kendrick Mountain Wilderness, but in true fire fashion, it had flirted with the landscape, leaving some aspen and pine stands untouched while torching others. Then the Arizona monsoon hit, triggering warnings of landslides. The wilderness had been closed since then, and had only recently reopened. I was hiking the Kendrick Mountain trail for a work project. I spend plenty of time at my computer, and moments like these, ones that used to be every day, are now rare. As I hiked up the rocky trail, taking long, epic switchbacks to the ultimate height of ten thousand feet, I thought about the people, one most recently, who judgmentally told me that they "could never work a desk job." This always seems a bit snarky and aimed at showing that the person is somehow superior and never fails to irritate me. We all weigh our trade-offs and for me, it was not having to hustle at age 70. Plus there's this. Desk job though it may be, I am writing a wilderness plan for this place, something that will help protect it for decades. How can that not be rewarding, to leave something behind? I think it is. Something like the cabin I stumble upon on a flat plateau, built in the 1930s. The fire lookout lived here and hiked the rough trail to Kendrick Peak's summit every day to scan for smoke. I scale the last height to a windswept fire tower. There's still a seasonal employee who lives up here in the summer, though the tower has long been closed down for the year. The lookout must hike to their worksite, a fate that sounds pretty good to me. The outhouse is still wrapped in fire resistant material. Having dug privies in rocky soil, I can appreciate not wanting this to burn down. As I descend, I run into the lone hiker I passed a while back. "I could live up here!" I tell him. He agrees. "I could live up here in winter," he ups the ante. "I'm that kind of guy!" "Me too!" I say. It's always nice to meet one of my tribe in a world that doesn't value solitude. "Do you like the music of Jerry Garcia?" he asks. While I'm not a Deadhead, I do like some of the songs, so I nod. He fishes in his backpack and hands me a CD. It's a burn of a Grateful Dead concert in 1972. "I give these to hikers," the man says. I head down the mountain, smiling at the randomness of the encounter. Though the wilderness has been burned, I can see signs already of rebirth. Grass pokes from black soil. A spared group of aspens rustle in the wind. This wilderness is tough; it will make it. I'm glad to be here, glad that my desk job affords me the opportunity to travel, to stay fit enough to climb 2,500 feet in four miles, to be able to give something back. I am having a hard time admitting it's winter. Which means winter running, which means the fearsome choice of a treadmill, some icy streets on soul crushing pavement, or foolhardy attempts at trails you really should be skiing instead of trying to run. Yesterday I chose the latter, only to flounder through six inches of snow. Yes, the trails are shut down for the season. Today I set off in trail running shoes as T and I headed up the trail to Cayuse Flats. Spoiler alert, I regretted this decision as we walked through fresh snow. Soon my feet were freezing, aided by a stiff breeze that forced us to don all of our layers. Not yet used to winter, we were not carrying enough, and could not linger. Luckily the trail climbed steeply uphill, which allowed us to warm up slightly. We passed through silent forest before the trail petered out and we made for the ridge. There's a road you can actually drive to get here, but who wants the easy way? Not us. We headed along the top of the world for awhile before heading over to investigate some abandoned looking buildings. Peering inside, we noticed a brand new box of Red Wings and fresh cut firewood. Was someone living in the shack? A stock truck cruised the road, bringing hay to the horses we had seen earlier, but there were no footprints in the snow. This would be a great cabin to spend the winter in, I thought. But then again, maybe not. Winters are harsh up here. The road would drift in soon. It will be eight months before it opens up again. Or more. Lately more of my friends are speaking wistfully of warmer climates. Some have even made the break, claiming not to miss skiing or winter at all. I have to admit, sometimes it sounds good--no running in microspikes, no driving in winter storms, no skirting the edge of frostbite on hikes like this (although I will wear boots next time). But then again, living in a constant climate might get kind of boring. T and I headed down the ridge; the buildings would have to survive the winter without us as tenants. But survive they will, just like I will survive another winter. "I feel like last winter took it out of us," a friend said in the grocery store. He isn't ready for winter yet either. But here it is, ready or not. It's a time to adjust: running has to slow down. You can't break eight minute miles in winter, not on the ice. You have to switch from hiking to skiing. You have to bring boots, not shoes. 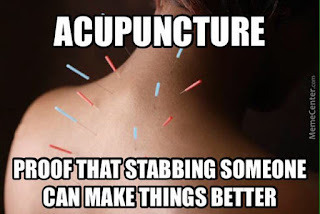 And maybe that's a good thing. Around here, you can't get set in your ways. A full moon disappeared in and out of ragged clouds as a fifty mile per hour wind threatened to toss my hiking partner, Triscuit, and me into the canyon below. It was impossible to stand, and I resorted to crawling down the rocky path. This wind was not something you could wait out. There was also nothing I could do to help Triscuit, somewhere behind me, her headlamp a small source of light on the dark trail. Well, Monkey Bars, I thought. You have to get yourself out of this. We were each on our own, battling the wind. We were nearing the end of an 85 mile stretch of the PCT, billed as the driest section of the entire 2650 mile trail. In 42 miles of trail there are no water sources. We staggered under the weight of multiple liters, and sighed in relief when we found two key water caches were still being stocked this late in the year. It felt late to be hiking here, the only people we encountered a couple of tardy southbounders (Hurl Goat and Mary Poppins) trying to outrun winter. For days we saw nobody else, our feet scuffing through miles of oak leaves. We hiked this section southbound for logistics purposes, dropped off by Dave, a talkative Uber driver who informed us all about his sobriety, panic attacks, and his desire to drop below 317 pounds, but also his desire for a candy bar. Starting from the desolate Walker Pass campground, we traveled uphill through Joshua trees and through the gorgeous Coulter pines of the remote Piute Mountains. We passed strange little cabins and campgrounds, deserted and silent in the bite of an autumn breeze. We also passed hundreds of wind turbines, lit up bright red at night like artificial sunsets. Old school toilets at Landers Camp. Do not camp here unless you enjoy hanging out in an icebox. Casa De Oso, an abandoned looking sheet metal cabin. We saw no osos, but plenty of deer. I didn't expect much from this section, but it quickly turned out to be one of my favorites. In spring, when most of the thru hikers come by, temperatures often top 100 degrees, and their impressions are not good. But in fall, we had cold nights and pleasant days, at least for the first two. As Triscuit and I hiked along a ridge, we spotted something strange--an ominous cloud in the distance. Fog spills over the mountains. "Is that a fire we are walking toward?" we asked each other, but as we approached, it became clear that a strange fog was taking over the sky. As we were enveloped, the wind began to blow. We marched past wind farms, swathed in all of our layers. Our camps were an exercise in finding sheltered places, but the wind still found us. It was ever present. Until you have hiked and camped for days in wind, you don't realize the level of anxiety it produces. The last night, tucked in among some bushes, we thought we were safe from the wind. 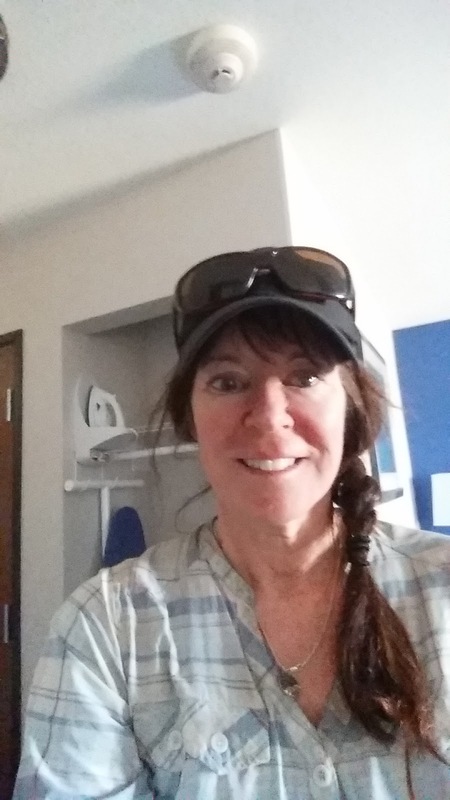 Our third hiking partner had inexplicably left us, hiking without a working phone and no headlamp down to the highway, where, we later learned, she hitched a ride to Bakersfield with a trucker. There's a lot more that could be said about this, but note to self: whenever people ask why I hike solo, there are stories I could tell. Shaking our heads, we retreated to our tents. After midnight, the wind increased to a howl, forcing me to take down my tent for fear of a broken pole. Still, if you run away at the first sign of adversity, how do you ever get stronger? It's just wind. Until you are crawling down a hillside, hanging on for dear life. But nobody is going to come save you. In the wilderness, you learn to figure things out. Or you don't, and you don't go back out again. Eventually, as I knew we would, we reached more protected ground and were able to walk normally to the bus stop, where a Kern transit bus took us to civilization, the downtown transit center, where a bunch of homeless people sat wrapped in blankets. It was a jarring contrast, although we probably looked homeless ourselves with our backpacks and windblown looks. Impressions of Section F? An entirely enjoyable fall hike, but you must be prepared. It feels more remote than most Southern California sections. In higher temperatures this would be pretty difficult. There are several places that are easements through private property, and so you walk on ATV roads that are steep and rocky. In other places, you follow winding trail through gorgeous forests. 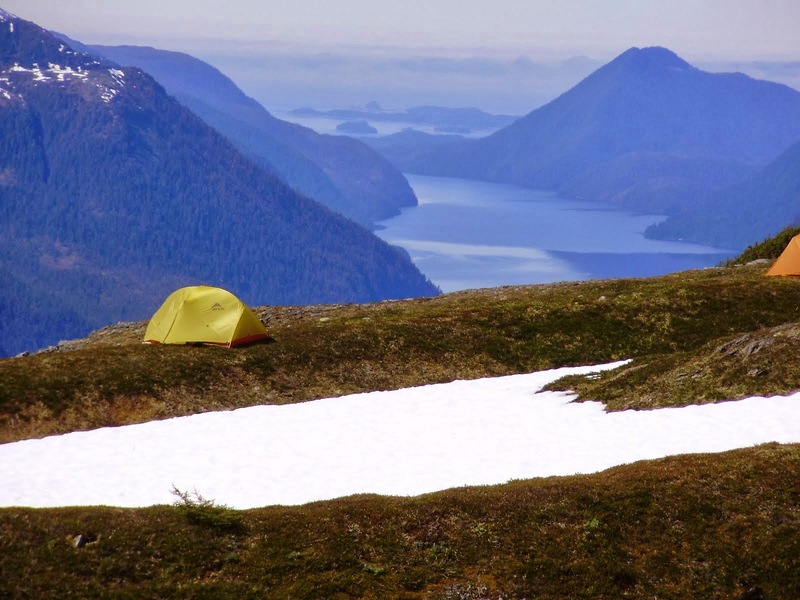 Like most of the PCT, it is varied and surprising. The water sources range from trickling seeps to piped springs, but you have to plan carefully or you may run out. And beware the wind; it blows all the time, unceasingly.